1Not available with special financing, lease and some other offers. See dealer for details. 2*CHEVROLET CONQUEST INCENTIVE FOR CURRENT OWNERS/LESSEES OF A 2005 OR NEWER NON GM (I.E., NON-BUICK, CADILLAC, CHEVROLET, GMC, HUMMER, OLDSMOBILE, PONTIAC OR SATURN) PASSENGER CAR OR TRUCK , CUSTOMER MUST HAVE OWNED/LEASED THE COMPETITIVE VEHICLE FOR A MINIMUM OF 30 DAYS PRIOR TO THE SALE OF THE NEW VEHICLE. See Dealer for details. Take retail delivery by 4/30/2019. 3Not available with special financing, lease and some other offers. See dealer for details. 4Excludes base models. Monthly payment is $16.67 for every $1,000 you finance. Example down payment: 19.9%. Must finance with GM Financial. Some customers may not qualify. Not available with lease and some other offers. Take new retail delivery by 4/30/2019. See dealer for details. 1Not available with special financing, lease and some other offers. See dealer for details. 2Additinal Savings. Not good with all offers. See dealer for details. Take retail delivery by 4/30/2019. 3*CHEVROLET CONQUEST INCENTIVE FOR CURRENT OWNERS/LESSEES OF A 2005 OR NEWER NON GM (I.E., NON-BUICK, CADILLAC, CHEVROLET, GMC, HUMMER, OLDSMOBILE, PONTIAC OR SATURN) PASSENGER CAR OR TRUCK , CUSTOMER MUST HAVE OWNED/LEASED THE COMPETITIVE VEHICLE FOR A MINIMUM OF 30 DAYS PRIOR TO THE SALE OF THE NEW VEHICLE. See Dealer for details. Take retail delivery by 4/30/2019. 4Not available with special financing, lease and some other offers. See dealer for details. 5Excludes base models. Monthly payment is $16.67 for every $1,000 you finance. Example down payment: 19.9%. Must finance with GM Financial. Some customers may not qualify. Not available with lease and some other offers. Take new retail delivery by 4/30/2019. See dealer for details. 1Additinal Savings. Not good with all offers. See dealer for details. Take retail delivery by 4/30/2019. 2*CHEVROLET CONQUEST INCENTIVE FOR CURRENT OWNERS/LESSEES OF A 2005 OR NEWER NON GM (I.E., NON-BUICK, CADILLAC, CHEVROLET, GMC, HUMMER, OLDSMOBILE, PONTIAC OR SATURN) PASSENGER CAR OR TRUCK , CUSTOMER MUST HAVE OWNED/LEASED THE COMPETITIVE VEHICLE FOR A MINIMUM OF 30 DAYS PRIOR TO THE SALE OF THE NEW VEHICLE. See Dealer for details. Take retail delivery by 4/30/2019. 3Not available with special finance or lease offers. Take delivery by 04-30-2019. 4Excludes base models. Monthly payment is $16.67 for every $1,000 you finance. Example down payment: 19.9%. Must finance with GM Financial. Some customers may not qualify. Not available with lease and some other offers. Take new retail delivery by 4/30/2019. See dealer for details. 1To qualified commercial buyers. See dealer for details. Not everybody will qualify. Take delivery by 12/31/2019. 2Additinal Savings. Not good with all offers. See dealer for details. Take retail delivery by 4/30/2019. 3Not available with special finance or lease offers. Take delivery by 04-30-2019. 4Excludes base models. Monthly payment is $16.67 for every $1,000 you finance. Example down payment: 19.9%. Must finance with GM Financial. Some customers may not qualify. Not available with lease and some other offers. Take new retail delivery by 4/30/2019. See dealer for details. Looking for a pickup that can do every job you throw at it? 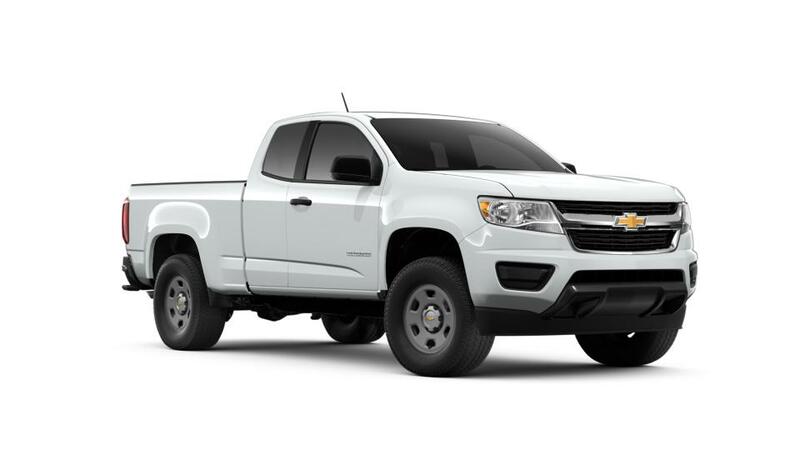 Check out the new Chevrolet Colorado, featured at our West Harrison, IN dealership. With impressive towing and trailering capabilities, this midsize truck can carry heavy loads with ease. The new Chevrolet Colorado, present in our inventory at our West Harrison, IN store, has an interior which is surprisingly spacious and entertaining. A driver-centric dashboard allows you to make calls and listen to your favorite music without any hassle. 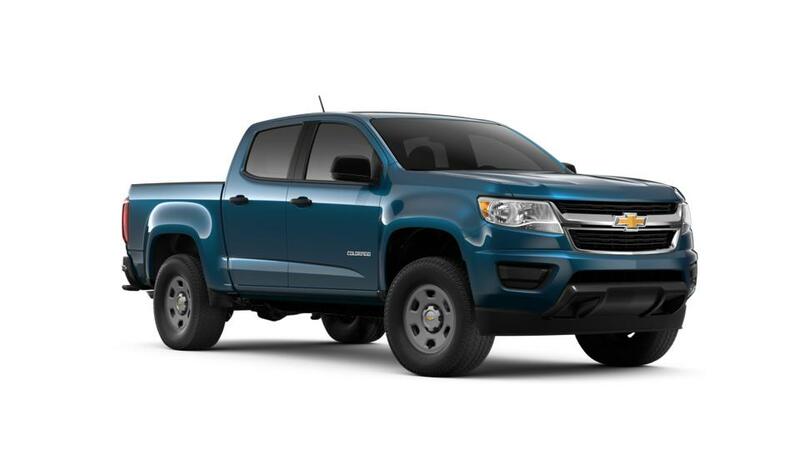 Drive the new Chevrolet Colorado across West Harrison, IN and experience the difference. You can refine your search by trim, mileage, pricing, and color. Drop by our showroom to explore our inventory of the new Chevrolet Colorado in West Harrison, IN today!